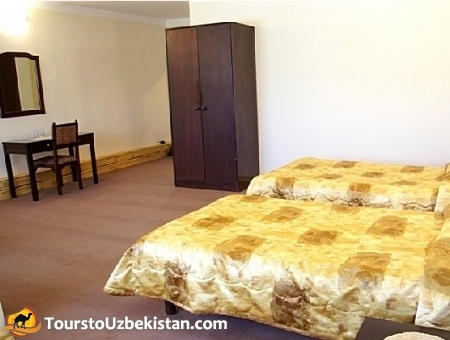 The private newly built hotel presents the finest Uzbek woodcrafts. 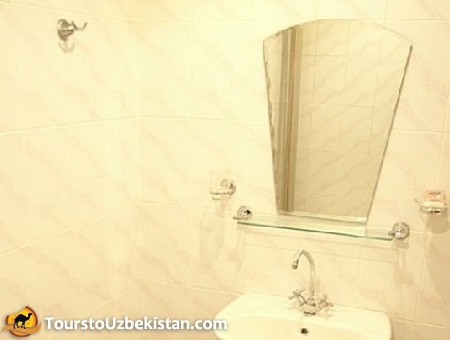 The decor of "Malika Khorezm" Hotel is classic and cozy. 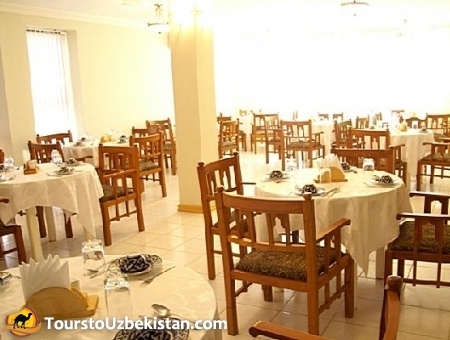 The authentic Uzbek and European cuisine is unforgettable. The large entry lobby is spacious and light. In the cozy restaurant you will be served with the delicious authentic Khorezm food such as gumma, pilav and many other courses. In fact, according to the Khorezm tradition, the courses have no end.